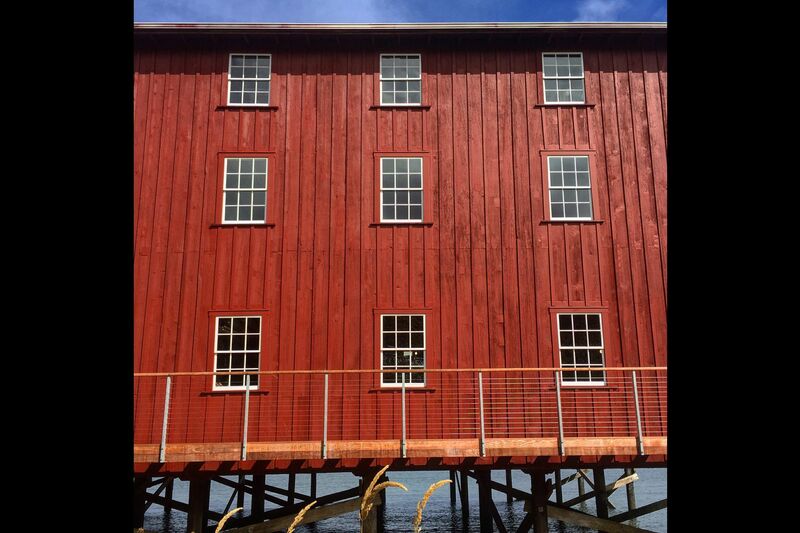 An historically fishing complex located in Astoria that once served the gillnet industry now serves as a testing ground for contextual architectural ideas and houses an occasional event or art installation. 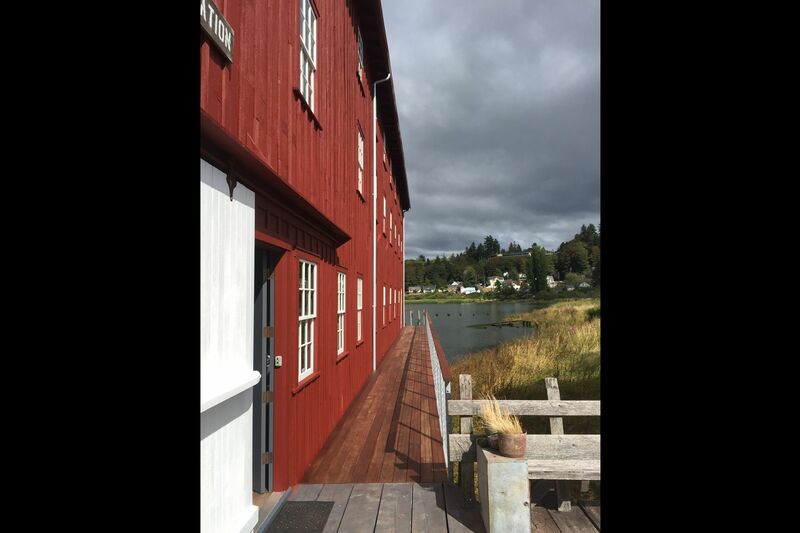 The original board and batten siding has been restored and stained, and new windows have been made to breathe new life into exterior of the old Netshed. A cantilevered walkway was built to provide new access to the south side of the Netshed. The 3-story pile supported Netshed once stored fishing boats and sheltered net making with a strong Scandinavian fishing culture. 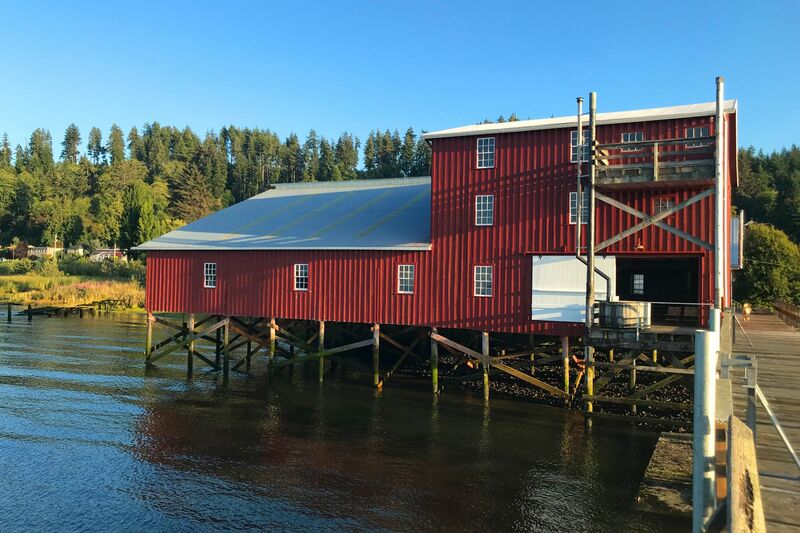 Situated on a lagoon enclosed by a railroad trestle, the buildings are sheltered from the river and passing tanker ships. 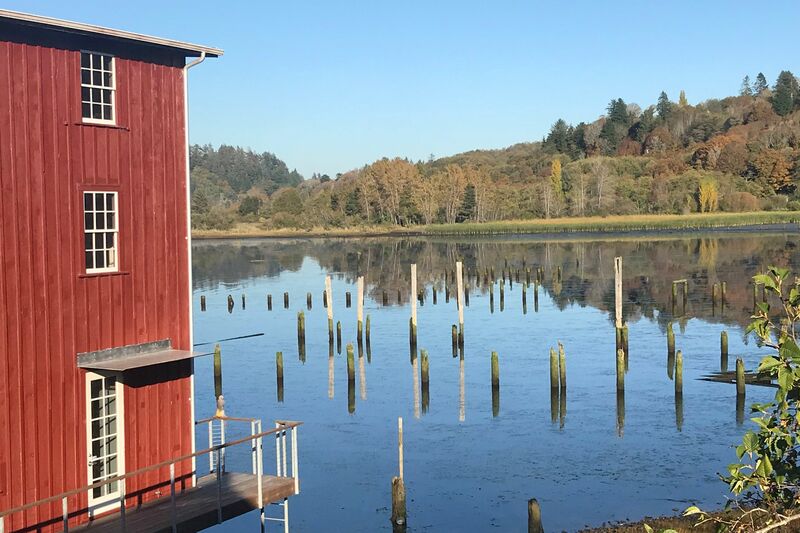 Alderbrook Station has the last remaining fully intact Netshed on the Lower Columbia. Together with a Boathouse and fisherman’s Cottage, the Station is on the National Historic Registry. The interior of the Netshed is left original, and provides a beautiful backdrop to a variety of events. This was the table setting for "a messy meal" curated by Kinfolk Magazine. Some parts of the netshed look like the fisherman were working in it yesterday. Many of the original artifacts remain, and provide authentic texture to the interiors. With many windows the netshed, the interior day lighting can be very dramatic. 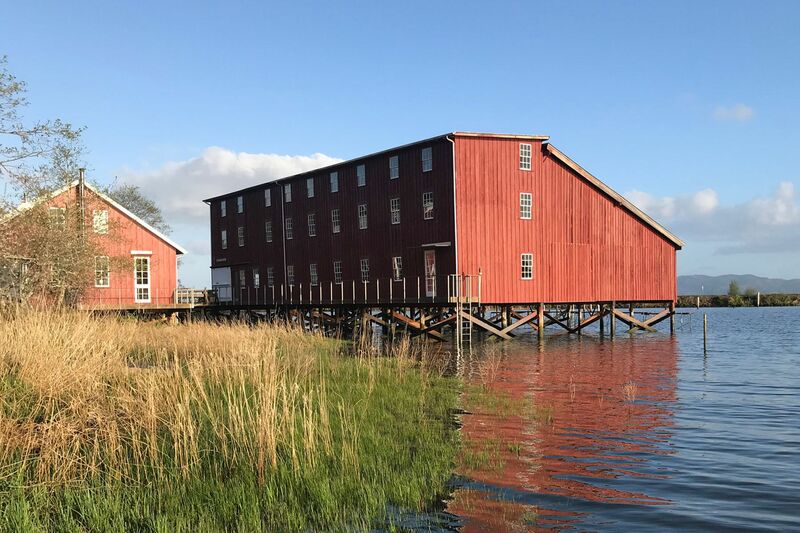 A dock on the Columbia River once extended past the trestle to large decks and net racks that served the salmon gillnetting boats. 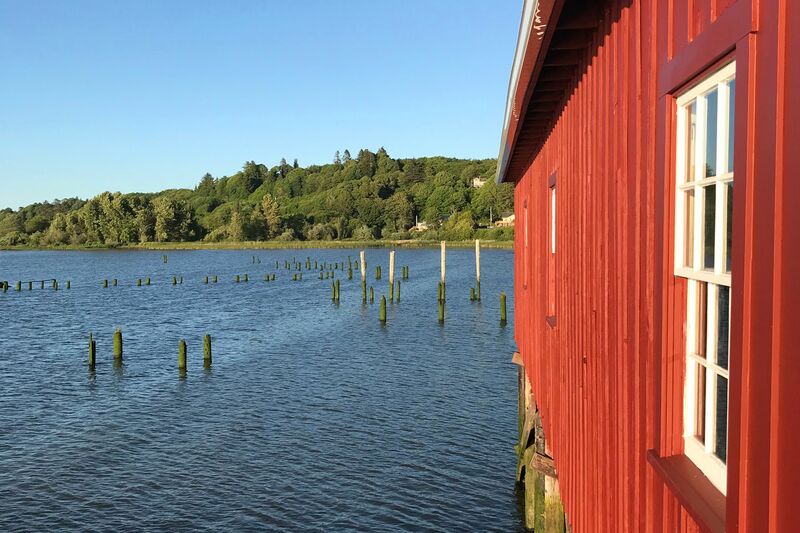 The Netshed is built on piles over the Alderbrook Lagoon, and enjoys amazing sunsets over the Astoria Bridge. As architects, and its stewards, we plan to keep Alderbook Station standing and relevant for years to come.